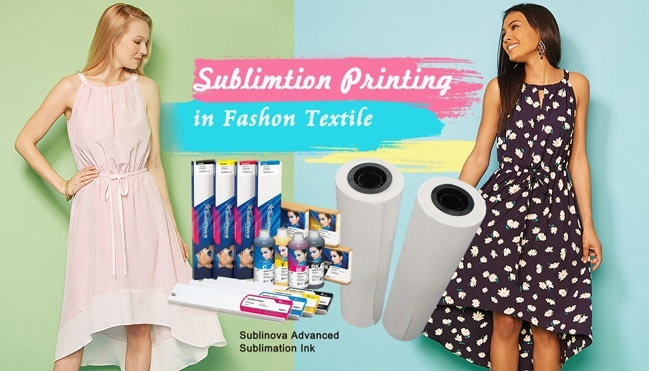 The Importance and Significance of Sublimation Paper -Fei Yue Digital Inc.
Sublimation is the process of changing physical states from a solid to a gas while bypassing the liquid phase. With sublimation printing, the inks vaporize when exposed to high temperatures. When heated, the ink turns to a gas and actually embeds itself into the polyester garment you are creating. Sublimation paper is a paper that is specifically manufactured to absorb the sublimation ink, but also releases the ink once heat is applied. This fast release of the inks allows transfers to retain the high detail and vibrant color sublimation printing is known for. 1. Images or logos are retouched in Photoshop for finest clarity and contrast. 2. Images are in print onto heat transfer paper. 3. Images might be cut either by hand or by piece of equipment, leaving a small margin around the edge. 4. It is placed on the promotional bag by means of laser technology to guarantee accuracy. 5. Then goes throughout a heat transfer paper printing, which applies loads of pounds of even pressure, condensation and heat. The easiest way to recognize heat transfer paper printing is to believe of the iron-on transfers you may have put on your t-shirts while at school - the kind that are used for scouts and guides badges, sports emblems and school crests. The printing is in fact done onto a particular commercial heat convey paper, and though it works by the similar method as home iron-on, the superiority is totally different. Industrial heat transfer paper, functional with a heat press does not shed, bleed colours, or fade. The stacks are as washable as non printed or silk screened products. Previous:How To Make Sublimated sportswear?